It’s a common misconception that Omaha’s airport was named after Boyd Epley, godfather of collegiate strength training. That honor actually goes to former Omahan Eugene C. Eppley (1884-1958) (no relation), who was at one time the world’s largest individual hotel operator and something of a philanthropist. One wouldn’t be far off, though, in stating that without Boyd’s biceps, brains and barbells Nebraska football may never have gotten off the ground a mere 56 days after America placed the first man on the moon. 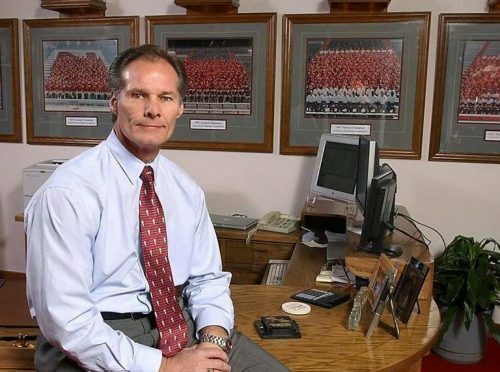 Taking flight like a Saturn rocket, the college football landscape was forever altered through this man’s unique blend of marketing chutzpah and hell-bent curiosity to find the secret to athletic performance perfection. A true alchemist, over the years Coaches Devaney and Osborne handed spitfire underclassmen straight off the farm over to him and his staff, expecting and often receiving future Blackshirts and All-Americans semesters later. If results were what you wanted, Boyd was the man to deliver. As a young assistant I asked him one day what the secret to success was. He said, “Paul, it’s simple. First, you do a good job. Second, you tell everyone in the world about the good job you did.” Who could argue against such logic? Q: It’s difficult to improve what can’t be measured, Boyd. Let’s talk about performance testing. Boyd Epley: If you can remember, we tested vertical jump, pro agility and 10 yard dash in the fall and then we’d test the 40 yard dash in the offseason. (Coach Osborne was pretty smart, he didn’t allow us to measure the 40 yd. dash in the fall because someone might have a hamstring pull) Testing has become a big deal. I’ve got permission from Mike Devaney, Bob Devaney’s son, and I’m using his quote, “If anybody gets slower, you’re fired.” (laughs) Because that’s what he told me back in September of 1969 when he hired me. Q: Let me ask you, Boyd, was there any way of Devaney concretely measuring their times in 1969 to find if any players actually got slower by training with you? BE: Well, when he told me that, it put the fear into me, and I came up with the pre-test and the post-test timing. That led to our four-step philosophy of 1) testing first, 2) evaluating, then 3) setting goals, then 4) following the program. It was all because of Bob giving us an ultimatum. Because if anyone got slower I wouldn’t have a job, you know? Q: Did anyone get slower? BE: Oh yeah. Along the way, once in a while someone with an injury, someone would get slower. But overall we dominated so early. You know, he hired me in 1969, and in 1970 and 1971 we were national champs, so he thought that was a pretty good deal, pretty direct cause & effect. Coach Devaney hired me on September 15th, 1969. 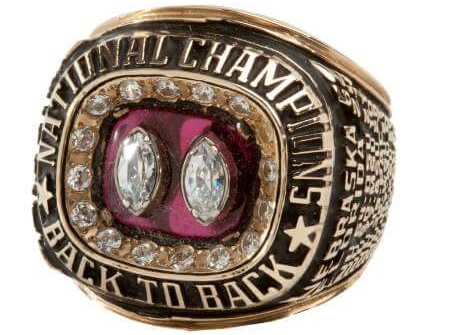 We didn’t go to a bowl game in ‘67 or ‘68, but in ‘69 we had good success and won 9 games and went to the Sun Bowl. We beat Georgia, got some momentum and then won the national championship the next year. Q: I remember sitting in a staff meeting in ’91 or ‘92 where you shared this grand vision of building on the site over there at the North Stadium. Did that all start with you? BE: No, what happened was, I was asked to serve on a committee -a planning committee- a Master Planning Committee. Joe Selig was in charge of facilities at the time and Bill Byrne was the athletic director and we looked into what our needs were, and we came up with a master plan that was a little more expensive than what we could afford, really. It couldn’t get done because it was like a $109 million dollar project. And then when Steve Pederson -actually, Steve asked me to go to Pittsburg with him as his #2 guy- I said, ‘No, I want to stay at Nebraska and build this building.’ Well, it never got done, it just kept getting bigger and more expensive. So when Steve came back as athletic director he chopped it and made some priorities and cut it down to about $50 million. Well, it ended up being $56 million when it was all done and said. And it turned out pretty nice, though. Have you been back to see it? BE: Dave probably wasn’t the right person for Nebraska. 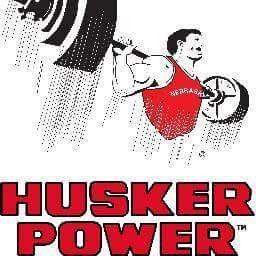 He was a good strength coach, but his philosophy was so different from what we had in place that it absolutely destroyed Nebraska’s Husker Power Program when Bill Callahan took over. BE: Well, with all respect to Dave, we made a philosophical switch just after he’d left the Husker Power program in 1988. We made a video to show the football staff in about 1988, and right after that we quit running long distances and we got real powerful…and the workout recovery was in the body’s correct energy system for a football athlete. Well, Dave Kennedy had left the program by then and ‘didn’t get the memo’, so when he came back as the Head Strength Coach, he went back to the 1988 philosophy that he knew best… and it was a disaster. He was running the players two miles for the linemen and three miles for the backs & ends in comparison to a time when we weren’t running any further than 40 yards. And so to give you a good comparison, it was a real stark contrast -like black and white- next to each other, what he brought in there. But the important thing to note was the 1991 winter conditioning program when we went 6,000 workouts without an absence, and the players really, really focused. We had 78 school records broken at the end of the winter conditioning program in one day. Q: What was the buildup to the team becoming super-successful? Was it player accountability? Focus? BE: Well, the season before that was 1990, and we lost three games in a kind of shocking way. You can find out the scores, it was like 45-10 to OU, to Colorado, and the Georgia Tech bowl game. So we lost to both national champs -which doesn’t sound like a real bad thing- but for Nebraska the effort wasn’t there. We had some talent, players like Bruce Pickens on the team that got drafted real high, but Bruce Pickens had a lot of absences (missed workouts) in the strength program. It was just sort of an attitude where the players would just as soon get punished for missing the workout than for doing the workout. It was just that mindset, not where you think it should have been. So when we got together after the season was over -you would think that after losing the bowl game that badly that there would be some fight from the athletes, that they would like to get going into the winter conditioning program in a positive way- but when I entered the room and saw the athletes were sitting with their feet up in the chairs and their caps on… Dennis LeBlanc of Academics was the first one to have to address them -and that was typical- and then we got on with the conditioning program. Well, when Dennis was done talking…. they hadn’t really paid him much attention and given him the respect he deserved; they weren’t quiet, you know what I mean? They were still talking and they were disrespectful -it just wasn’t right- and so, what I did? I had a ring. In fact, I’m sitting in my house right now and I’m looking at that ring. It was a paperweight. Q: I remember that humongous thing! That massive, gold championship ring about the size of a man’s fist, right? BE: Well, someone gave it to me, and I’ve had it on my desk for years. It’s a great big paperweight that looks like a championship ring, but it’s way too big for someone to wear. I said, ‘Now, right now anyone who does not want to be on this team, I want to you to leave now. I want you to get up and leave. You’re done. You’re no longer a part of Nebraska Football. Leave right now.’ (pregnant pause) Nobody left. So I went to the chalkboard and I erased the word ‘Jerks’ completely. And I said, ‘Okay, we’ve accomplished number 1, we have no more jerks in the program. You’re here because you’re gonna do this program.’ Now, step two is to motivate the ‘Have to’ group to be ‘Want to’ guys. So I went into kind of a long speech there on what the difference was between willpower and doing things right and what they’re asked to do and all that. It was probably a little longer than they wanted to hear, but I wanted to get it clear that we were going to commit to doing the program right. So when I got done with that part of it I handed out a red mesh jersey that they would use in winter conditioning practice. (I went to the equipment managers beforehand and got 200 of these jerseys) I handed them out and said, ’If you are going to commit to what we just discussed…,’ and we went over goals and what it was going to take to win. I said, ‘if you’re going to commit to the plan, I want you to put this red jersey on right now.’ And every single one of them put the jersey on. I said, ‘Alright, every day I want to you to wear this jersey to winter conditioning. And when you put this over your head -when your neck passes through this jersey- I want to you to remember you’ve committed to these goals. If you show up over there without the red jersey, you’re done. If you’re gonna commit to these goals, put the jersey on.’ And they put it on. We went to run and then we went and lifted. We had two workouts: a running workout and a lifting workout. And every day we counted how many workouts we accumulated, and we went 200 workouts until we lost our starting middle guard and our starting I-back. They were no longer on the team, they chose not to come. So on a day toward the end of the 6 week winter conditioning program (it was a Monday and we were going to test on Wednesday so we gave them Tuesday off to recover), so on Monday I got them all back together and I got them in the auditorium again and said, ‘You guys have gone 6,200 workouts and have lost two guys. You’ve made tremendous progress because you applied yourselves. So we’ll expect you to break at least 50 school records on Wednesday. The most we’ve ever broken before is 17, and I expect 50 new school records on Wednesday.’ They kind of looked at each other, “Is he kidding?” Paul, they went out and broke 78. Q: Wow! How did you come up with the ‘50’ number, Boyd? BE: I was just guessing! (laughs) Watching them work out and looking at the physical development, you could tell they were much better. I knew of one athlete who had 140 absences in his career. That’s like missing a whole year of your 4 year career. So anyway, we had 200 guys without a single absence. So when you apply yourself, it’s like watering a plant: it grows stronger and sturdier.